Is the holiday hangover starting to sink in? I love the 90’s movie Groundhog Day, where the actor Bill Murray finds himself living the same day over and over again. This movie reminds me that January could be another Groundhog Year if we don’t make any changes. 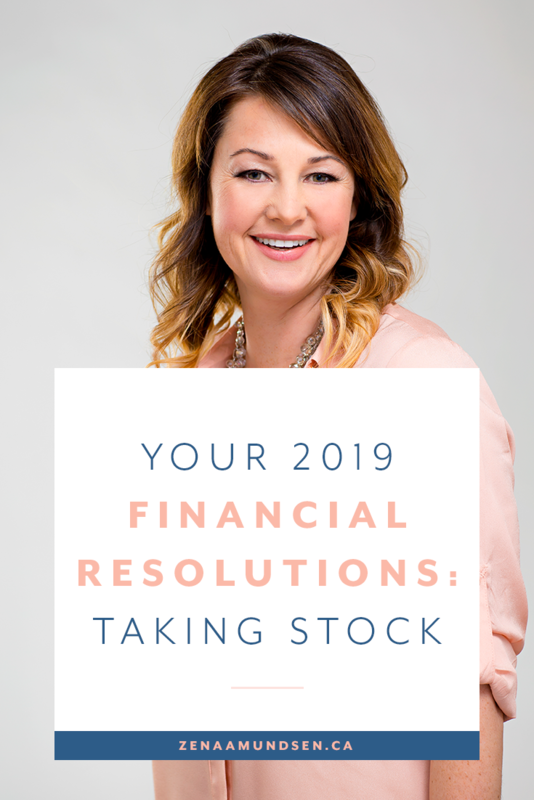 Let’s kick the money overwhelm and guilt to the curb this year by taking stock of where you are right now. The first thing to do is gather all of your mail. Do you have any unopened mail? You know the unopened bills you put aside until you felt ready. We are going to take inventory of what things need to be paid, including any new expenses that may have come from the holiday spending. The benefit of taking stock is that we are creating clarity and removing the mystery around your finances. One client I worked with had a really tough time with taking stock and creating an inventory of her finances. We had to work in baby steps and it really took a few nudges for her to start. We met a few times, there were tears, and she shared with me that she felt she had no one else to talk about money to because of the shame she felt. But once she actually took stock – wrote down her expenses and debt, she felt that the biggest hurdle was over. This step combined with regular tracking of the numbers was incredibly motivating for her. Full disclosure here, it took some work on her part for a few months while she took stock and created a plan. But, with the continuous progress of her financial goals, she is a new woman now. She has a savings account. She goes on regular holidays. She gained the confidence to apply for a promotion that she previously doubted she get. She paid down debt – a line of credit by $20,000! Without that essential first step of taking stock, none of this would have been possible for her. It took 3-6 months for these results to start showing up, but these never would have been a light at the end of a dark tunnel if she had remained stuck. FYI: Fixed expenses are all of the things that must be paid like the mortgage, utilities, loans, debt, insurances…. You can download my FIXED EXPENSES to help you create your list of fixed expenses. Want to Transform Your Relationship with Money in Just 5 Days? Join the Heart of Your Money Challenge... it's free! Avoid Holiday Money Hangovers by Creating Your Easy-to-Follow Savings Plan Now! Join the 2018 Holidays Savings Challenge... it's free! Get Your Free Cash Flow Planner! Download your Guide to the Financial Values Mind Map !